Home » Web » Wordpress » The Best WordPress Theme Framework Review- Genesis, Thesis, or Catalyst? Do You Need a WordPresss Theme Framework? WordPress is, hands down, the most popular website content management system. It’s easy to use out of the box, and you can extend the features with a number of plug-ins. It’s also easy to customize with a number of free and premium themes. But some users may want (and developers WILL need) more options to customize the appearance. That’s where WordPress theme frameworks come in. A framework is essentially a barebones theme. From here you can add a child theme, which plays essentially the same role as a normal WordPress theme. A child theme will a set style, colors, graphics, etc. Then, you’re able to customize it as you like, all without directly altering any files. Everything is done through the WordPress backend. For developers, this will save a lot of time because they will be able to develop a custom portfolio of themes, export them, and tweak them for each individual client. This significantly speeds up development time and consistency. 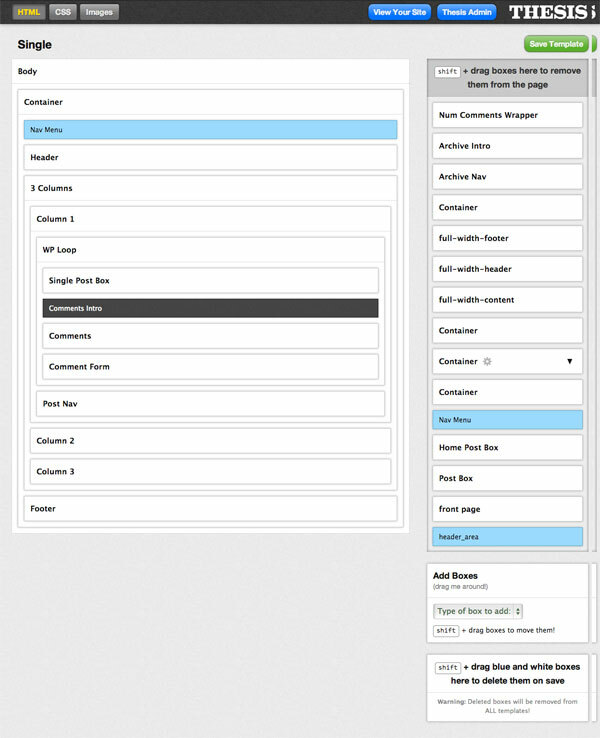 Ordinary users will have more control over the appearance of their site. Adding a child theme may give you a basic start, but you might want a larger header image, or to move the sidebar, or to add a widget area above, below, or between your blog posts. WordPress frameworks make it easy to do that. Every part of the blog page, whether the home page, the blog post, or a static page, is divided into ‘hooks’ into which you can add text, images, or plugins. This is great if you want to insert ads or plugins into specific places. Pictured above are the hook locations for the top half of the WordPress default page with the Catalyst framework. Each yellow box is a hook. Every framework is different, but they all have about the same map scheme. Another great thing about buying a theme framework is the community support. The purchase of one of the three frameworks below gives you access to a forum where framework developers and those who use it can answer your questions. That’s far more help than you’re likely to get from the developer of an ordinary premium theme. So which is the best WordPress theme framework? It depends a lot on what you’re looking for, and how much you’re willing to pay. Let’s look at the big three. Thesis is the most popular WordPress framework. It’s also the most expensive if you plan to run it on more than one site. Thesis is perhaps the most customizable of the three, but it has a steep learning curve. For many customizations, you’ll need to input the CSS code yourself. That’s great if you’re a developer, not so good if you’re an ordinary user. Thesis can be modified to be responsive, or you can add a responsive child theme. With the introduction of Thesis 2.0, it’s become a great tool for developers to create and export themes. Whereas before you started with preset options and had to overwrite them, now you can make themes from scratch. The $87 Basic Thesis package will get you the framework alone, and access to support through the forum. You will only be able to use it on one site. For $164, you’ll get a developer’s license allowing you to create multiple sites, and two skins which haven’t actually been released yet. $197 will get you two more features that you may or may not need: social media and e-mail signup boxes. 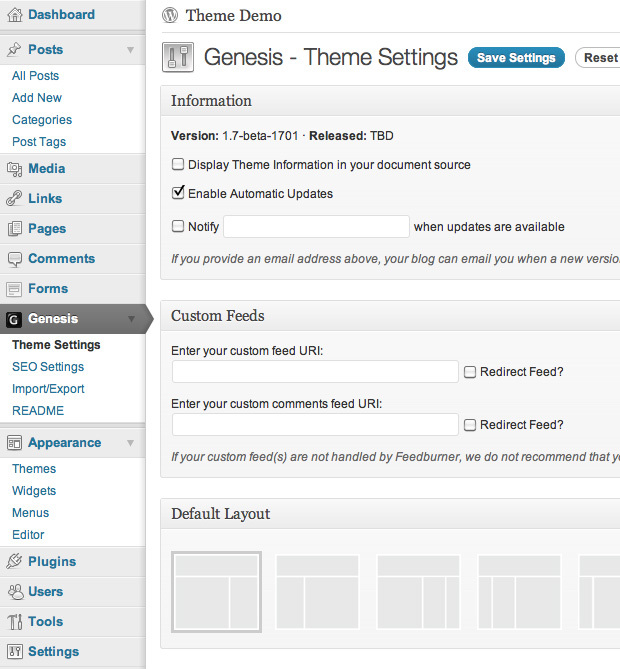 Genesis is another popular WordPress framework. Genesis is more user friendly than Thesis, but not as easy to use as Catalyst. Genesis is has integrated SEO features and will work with third-party SEO plugins. While Catalyst maybe easier to use, you can get add many of the best features of Catalyst to Genesis by adding the Dynamik theme. The developers of Catalyst are also Genesis developers, and they ported their Dynamik child theme to the Genesis framework. 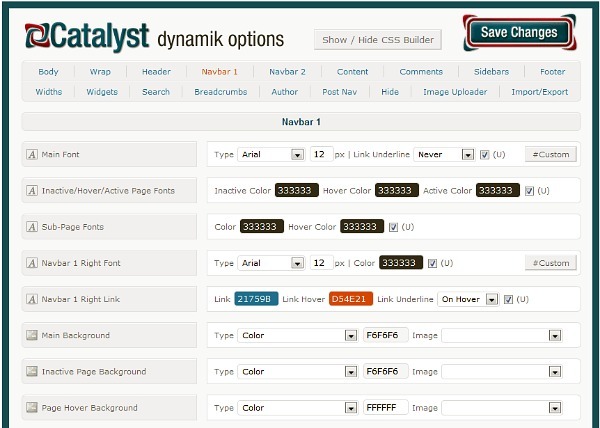 If you’ve already got Genesis and you’re thinking about switching to Catalyst, adding the $77 Dynamik theme may be a cheaper option. Genesis offers a wider variety of child themes. However, that’s going to cost you. The basic Genesis package is $59.95. If you want, you can buy a child theme which includes the Genesis framework. Prices vary, but expect to pay around $80. You are also given the option of buying every theme for the discounted price of $350. The Genesis framework and all themes can be used on multiple sites. Catalyst is by easiest theme framework to use out of the box. It’s also the cheapest if you’re not planning build a theme from scratch or use it on multiple sites. 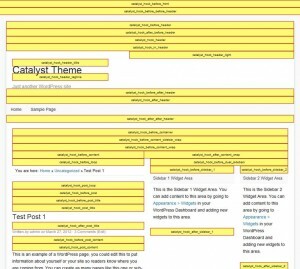 The Dynamic theme mentioned above makes it especially easy to use, so if you’re just starting off and want all those features you’re best off just to start with Catalyst. Even though it’s designed to be easy to use, every option screen has a CSS builder so power users can customize sites as they like. Catalyst has a single pricing option, $127 for a developer’s license. You can install child themes, which are generally cheaper than those of Thesis and Genesis. What do you think is the best WordPress theme framework? Is one of these three, or do you prefer another?